Kosovo’s government collapsed yesterday (10 May) after it lost a confidence vote in parliament, a move expected to trigger a snap election after more than a year of political crisis in the tiny Balkan country. The ruling coalition had long been strained by growing discord between its two main parties, President Hashim Thaçi’s centre-right PDK and the conservative LDK of Prime Minister Isa Mustafa. Kosovo’s government dropped plans for a parliamentary vote on a bitterly contested law on establishing its definitive border with Montenegro yesterday (1 September) after coalition allies stayed away from the session. Under the constitution fresh elections have to be held within 45 days, and the president is expected to call them by the end of the week. Of those present, 78 deputies in the 120-member parliament backed the no confidence motion while 34 were against it, speaker Kadri Veseli said. The main trigger for the vote was a border demarcation deal with neighbouring Montenegro, the final condition for obtaining visa-free travel in the European Union. Kosovo police said yesterday (30 August) they have detained six opposition supporters on suspicion of involvement in a rocket-propelled grenade attack on parliament. Three opposition parties strongly oppose the move, alleging that the deal deprives Kosovo of several thousand hectares of land. 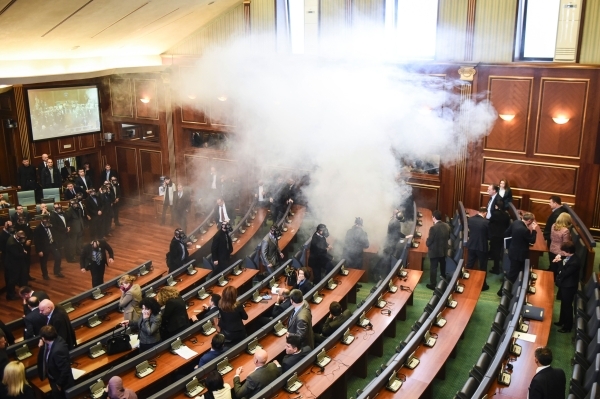 Since the signing of the deal, the main opposition Vetevendosje (Self-Determination) party has organised violent street demonstrations and fired tear gas in parliament to prevent the text from being examined. 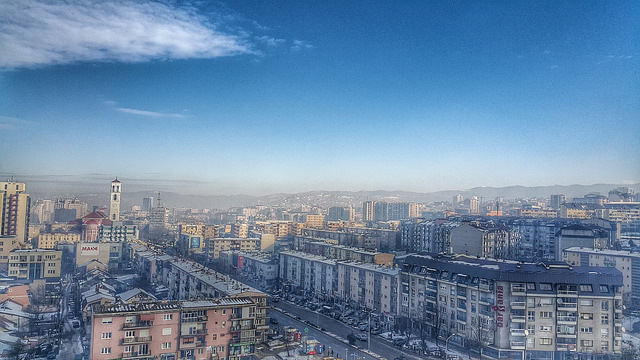 Kosovo’s political crisis has also been fuelled by another agreement, reached with former foe Serbia in mid-2015, that envisages political autonomy for the Serb minority. The opposition also fiercely opposes the deal. Kosovo decided to appropriate the property of the former Yugoslavia’s Serbia and Kosovo Province, adding pressure to an already strained relationship. EURACTIV Serbia reports. Thaçi’s PDK eventually supported the rest of the opposition to push for a snap parliamentary vote, before the scheduled date next year. 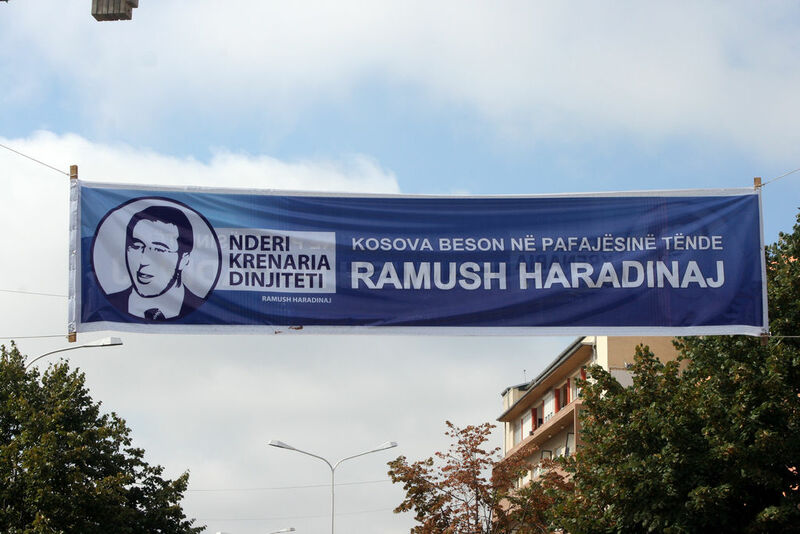 The AAK party of former rebel leader and ex-premier Ramush Haradinaj has also long called for elections. Haradinaj returned to Kosovo last month after being blocked for five months in France, where has rejected a request for his extradition to Serbia over alleged war crimes during the late 1990s Kosovo war. Brittle diplomatic ties between Serbia and Kosovo came under further strain yesterday (5 January) in a row over international arrest warrants issued by Belgrade for former Kosovar guerrillas, including an ex-premier detained in France. The episode could revive his popularity. Western analysts says the PDK backing for a snap vote could reflect its desire to strengthen its popular legitimacy through electoral success, in view of progress at a new special tribunal at The Hague set up to try former leaders of the Kosovo Liberation Army (KLA) for alleged war crimes. 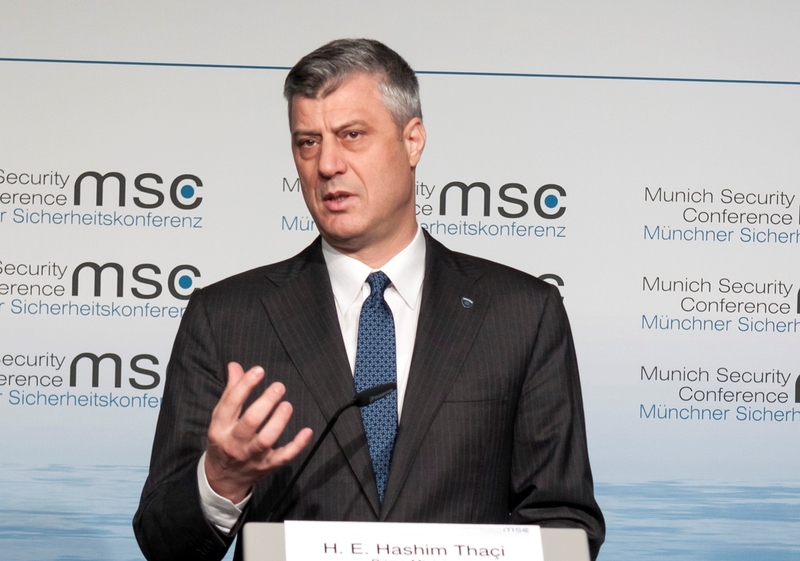 Thaçi, a PDK founder and its longtime leader, figures among several former guerrillas cited as potential indictees. “There are indications that people who are regarded as Kosovo heroes may soon become the opposite,” LDK deputy Arben Gashi told the lawmakers during Wednesday’s debate, referring to the tribunal. The 1998-1999 conflict between ethnic Albanian rebels and Serb forces sent by Slobodan Milošević, was the last of the wars that tore apart the former Yugoslavia. 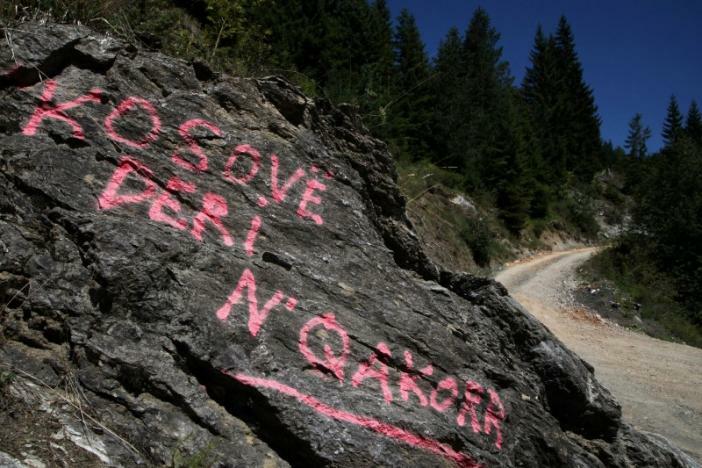 Of the 13,000 killed in Kosovo’s conflict, some 10,000 were ethnic Albanians. The war ended after a NATO bombing campaign against Serbia, which led to the withdrawal of Serb forces from Kosovo. The territory was then put under the protection of NATO and international forces. Kosovo, home to around 1.8 million people who are mostly ethnic Albanians, unilaterally declared independence from Serbia in 2008. The move is now recognised by more than 110 countries. But Serbia, supported by its traditional ally Russia, still rejects it. 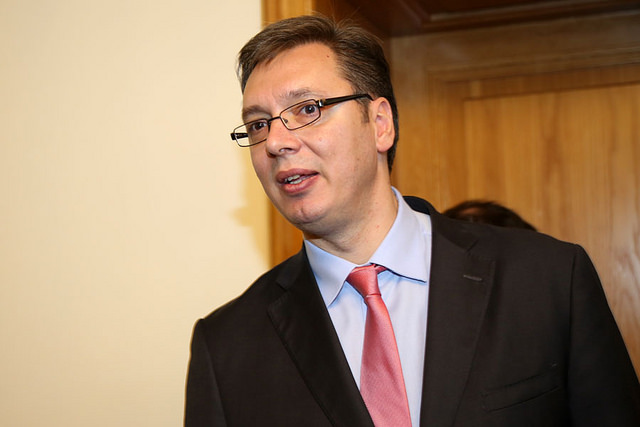 Serbia plans to implement all the agreements it has made with Kosovo, but does not intend to recognise Kosovo’s independence. EURACTIV Serbia reports. In 2011 Belgrade and Pristina began EU-brokered talks to improve their relations, but they remain tense. And the 100,000 to 150,000 Serbs who still live in the former province continue to consider themselves as citizens of Serbia, refusing to recognise Kosovo.